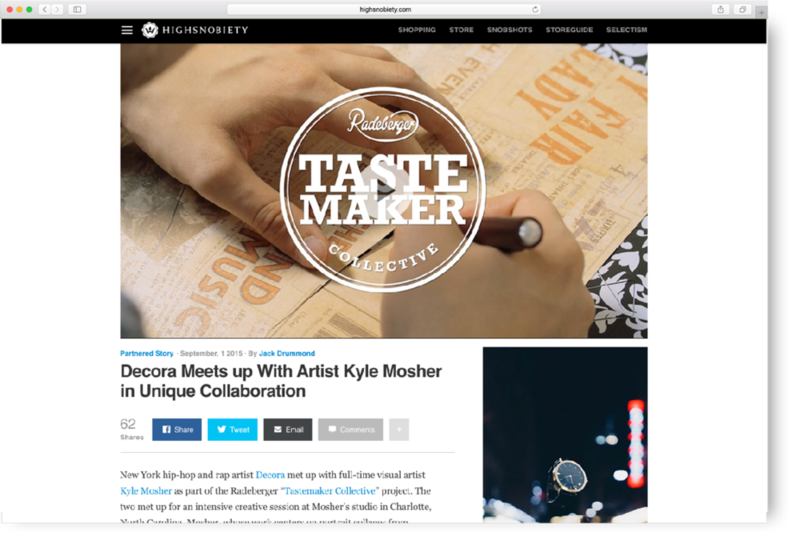 New York hip-hop and rap artist Decora met up with full-time visual artist Kyle Mosher as part of the Radeberger “Tastemaker Collective” project. The two met up for an intensive creative session at Mosher’s studio in Charlotte, North Carolina. 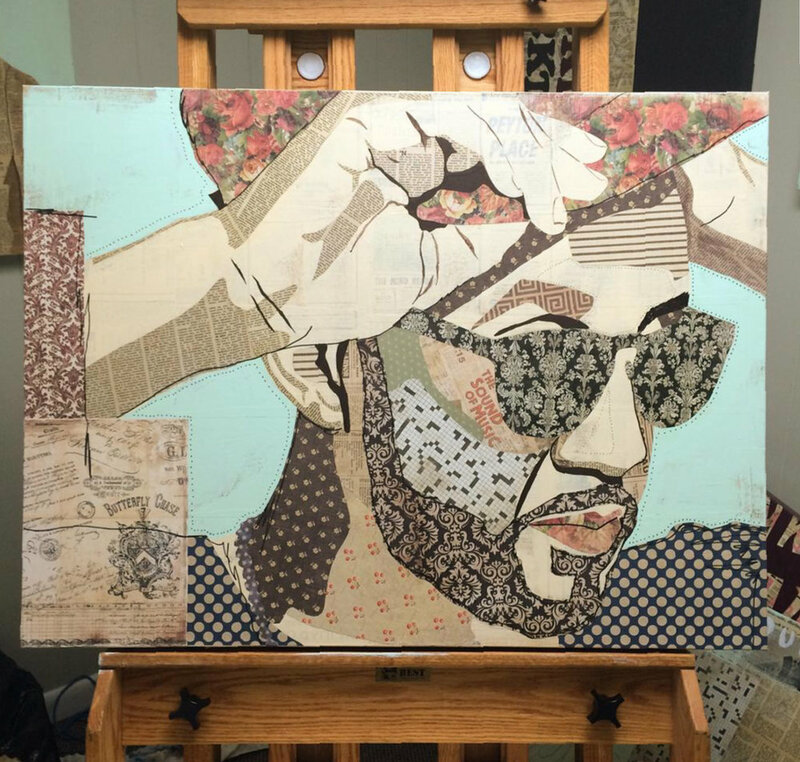 Mosher, whose work centers on portrait collages from vintage paper and acrylic paints, created a unique portrait of Decora as the rap artist spat out rhymes from his track, “Something,” from his upcoming debut album, Bread and Oats. Decora hails from the Hudson Valley, New York, and is a member of the five-strong Tastemaker Collective. The Collective sees Radeberger fund, through grants and other support, the projects of five individuals in and around the New York area. You can find out more about the individual projects and members of the collective here. See what went down at Mosher’s studio by viewing the video above.